Rita Baker and her mother Sylvia Friedman, who suffers from dementia, share a moment together with music. Cedar Village, a retirement community in Mason, is noticing specific iPod playlists are triggering memories in some of its residents with dementia. Cedar Village will hold a free public screening of "Alive Inside," a film that shows evidence of the same thing, on October 25 at 7:30 p.m..
Rita Baker is an enthusiastic participant of the "Music and Memory Program" at Cedar Village. Her mother Sylvia Friedman was alone inside herself until she put on the headphones and began listening to a specially designed iPod playlist from her era. Even though Sylvia can't speak she is able to sing songs with her daughter. "And it's a way for my dad to connect with her because after 52 years of marriage he was losing the one love of his life.....they can both kind of smile at each other because now they can connect in a way they couldn't before," according to Baker. Cantor Alane Katzew started the "Music and Memory Program" at Cedar Village about two years ago. 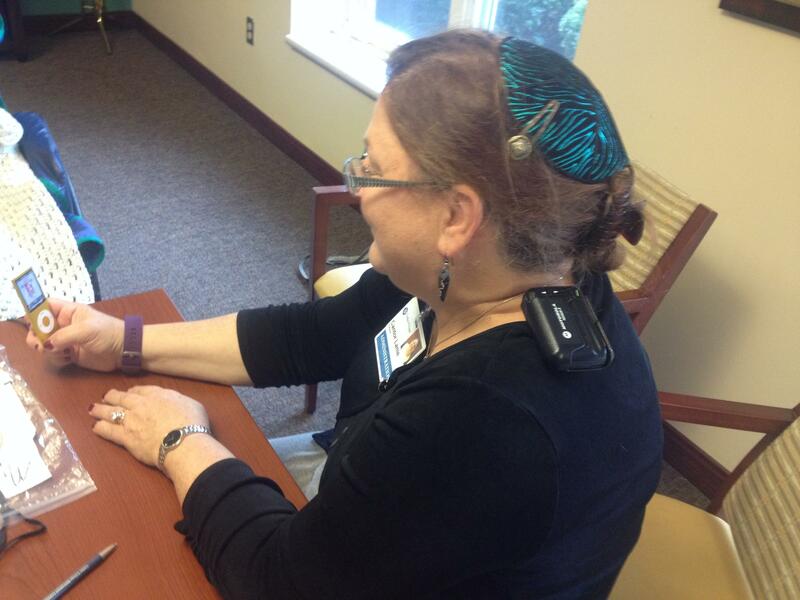 The program is still small at the Mason retirement community with just twenty participants but Cantor Lanie Katzew, who started the program at Cedar Village two years ago, looks to grow it as she receives more gently used iPods. Katzew says, "There are ways with which you can intervene positively in the life of an individual with dementia that is really giving life to yourself at the same time as giving it to the person you are with." Not only does Cedar Village use the program for its dementia patients but also residents with Parkinson's disease and other conditions that can impede communication. Cedar Village is one of just a handful of places in Ohio to have special swimming pool treadmills that aid in rehabilitation. The two treadmills are part of the facility's $2.4 million aquatic therapy center which opened in October, 2014.